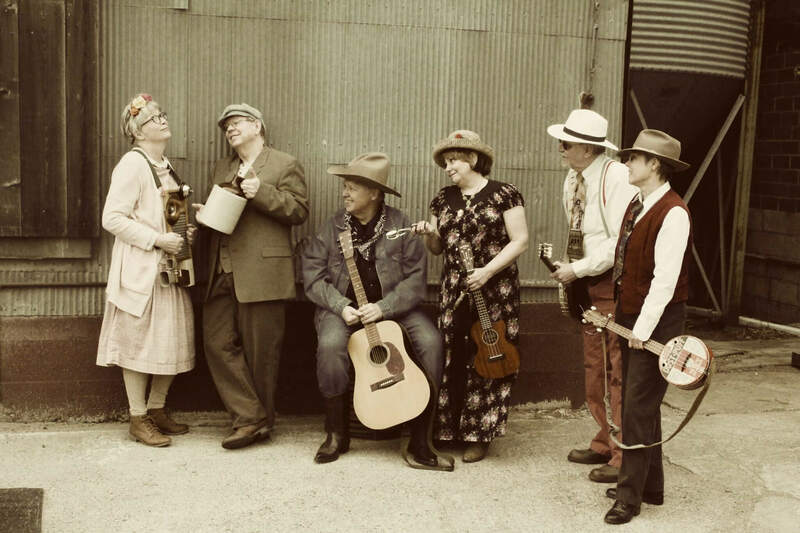 The U Can Jug or Nots’ mission is the preservation and enjoyment of jug music. It’s a combination of old timey, early country, blues, gospel and pop of the ’20s and ’30s. They make and modify some instruments (jugs, spoons, washboard, can shakers, box drum, jingle bells) and also play ukes, guitars, uke bass, mouth harp, toys, kazoos, and so on.